I’ve not had time to sit down and really dedicate some time to doing singular book reviews recently but I have been reading some corkers, so thought I’d better stop procrastinating and put pen to paper, or fingers to keyboard and bash out a few little reviews. I enjoy doing little reading wrap ups, probably more than individual reviews and I sometimes think its nice to give people a little bite sized taster of my thoughts on a book rather than revealing too much. So, as I said, I’ve been reading so much recently and even have a few books on the go at once which is something I almost NEVER do but it also appears that the more I get involved in the bookish communities on social media, the more my bookish habits change. A post on this very subject will follow shortly. So for now….onwards to the books. I’ve been racking my brains trying to remember how this book made it on to my radar. I really don’t think I’d seen it talked about on Booktube (as is so very often the case these days!) so the only thing I can think of is I was drawn to the cover…….yes I shamefully admit I do indeed judge a book by its cover and in this case my judgement was completely justifed. 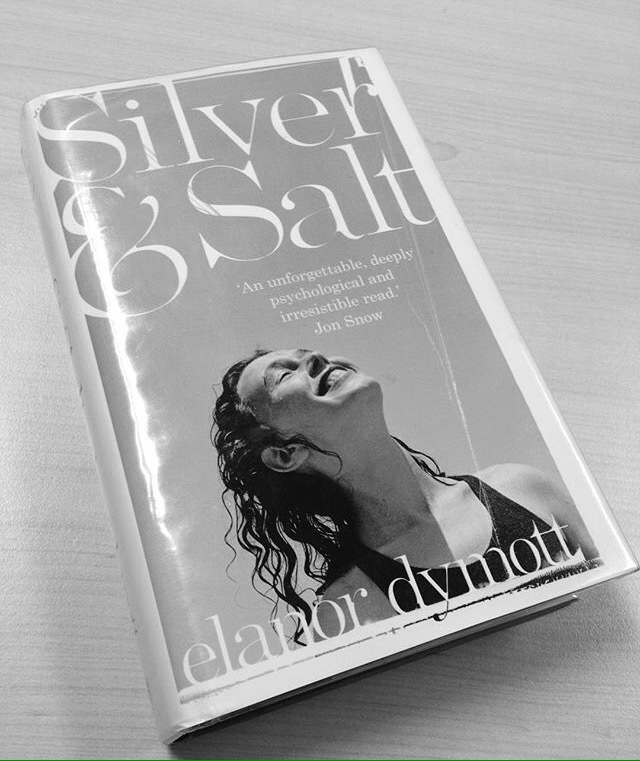 Silver And Salt tells the story of sisters Vinny and Ruthie over the period of their childhood and their current day adulthood after the death of their emminent celebrity/news photographer father. They are staying in his villa when Ruthie begins to watch a family in the villa opposite and becomes a little fixated on the little girl of the family. Then a tragic event happens fairly early on but the reader is not let in on the details of this event until the very end, and my goodness what an ending! I was thoroughly gripped. The sisters have a very strange dysfunctional childhood with their sometimes absent, sometimes intense father and their mother who suffers mental health issues after suffering infant loss. They spend much of their childhood with an Aunt who battles to bring them up as their mother can no longer cope with the day to day care of the girls. The relationship Ruthie, the youngest sister has with her photographer father is the main focus of the story. She follows in his photography footsteps but does not always match up to his exacting standards. This is a very tense, dysfunctional family drama set over two differing time periods, which I always enjoy. I love seeing how the events of the past shape the future. The attention to detail with regards to photography was amazing (and also very interesting!). I utterly loved this book, I would thoroughly recommend it. 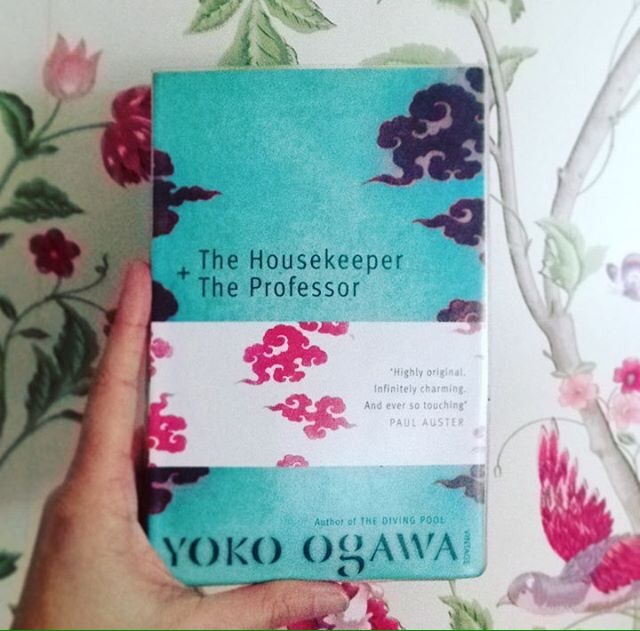 The Housekeeper And The Professor – Yoko Ogawa Published by Vintage. Now I know for sure that I picked this one up from the library on the recommendation of Simon Savidge from Savidge Reads (again, as is usually the case!). I think it was mentioned in his women in translation video. I whipped through this book in 24 hours, it’s only a slight little book but it was very powerful in its content. It tells the story of a housekeeper who is assigned the job of looking after the home of a mathematics professor who has unfortunately had an accident resulting in a head injury which means he only has an 80 minute memory span. The Professor takes a shine to The Housekeepers 10 year old son and begins helping him with his maths homework. The Professor also whets the Housekeepers appetite for solving mathematical problems/equations and getting her to think differently about various number relations. Now if maths isn’t your thing you can still very much enjoy this book, I’m no Einstein but I found myself following the problems and their solutions quite easily. In fact the book explains things in a much better way than my school maths teachers ever did! Don’t let the numbers element put you off reading this book. Ultimately it is a little gem of a story which will break your heart then mend it again. So moving and so touching. The relationships between all 3 of the main characters are beautiful and beautifully portrayed. I could honestly see this as a film. Another one to watch out for if you get the chance. I picked this up from the library having heard it talked about somewhere……I really should start making an effort to remember where I’ve come across these recommendations! Again, this is another slight book which I whipped through very quickly. It tells the story in the present day of Kirsten who has recently split up from her partner and moved to a newly renovated building called Wakewater overlooking the Thames. It also tells the story of Evelyn back in the 1800’s who has been admitted for hydropathy treament in the same building. Ladies were admitted for all types of water therapy from taking freezing colds baths, boiling hot baths, being submerged in water and wearing water soaked padding around their bodies in the hope that it would cure them of their ‘maladies’. Kirsten begins to experience phenomena within days of moving into her new residence. Water leaking from unknown sources and continually seeing a woman with long, dark, seemingly wet hair standing near the river. The only other resident in the building Manon, tells Kirsten the tales of the long forgotten desperate prostitutes from the victorian ear who took their own lives and ended up at the bottom of the Thames. This plays on Kirstens mind and makes her question the things she is apparently experiencing. 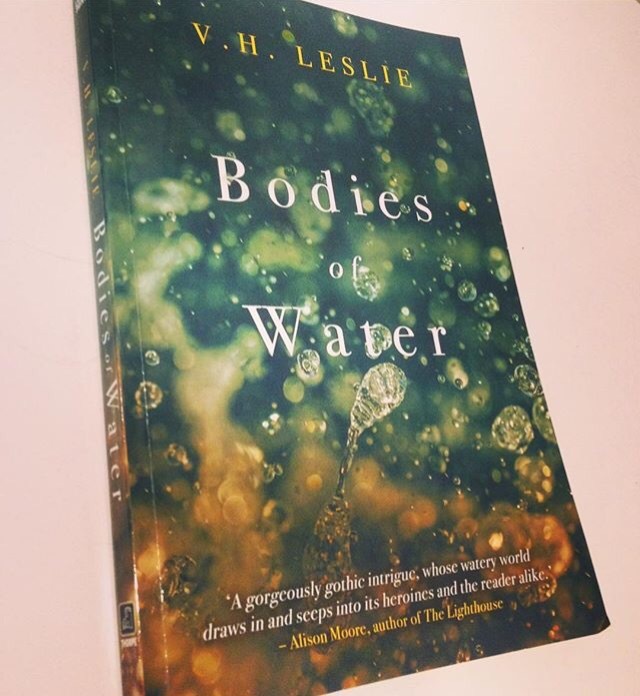 Evelyn is suffering the loss of a lover Milly who was one such girl who ended up taking her own life and she herself is experiencing strange happenings within Wakewater whilst she is having her treatment. This story was a bit of everything I love. Dark, gothic, victorian and set over past and present day. Throw in ghostly happenings and I’m hooked! As I said it was only a short book but it was very well rounded and the ending was very fitting. If you come across it, read it…….but not at night! So there we have it. A little whistlestop tour of my most recent books. I’m currently reading My Name Is Leon by Kit De Waal which I’m really enjoying and hoping to do a review of when I’m finished so look out for that and I’ll see you soon!